The Charity has announced that projects interested in applying for funding can attend a funding surgery to discuss their ideas. 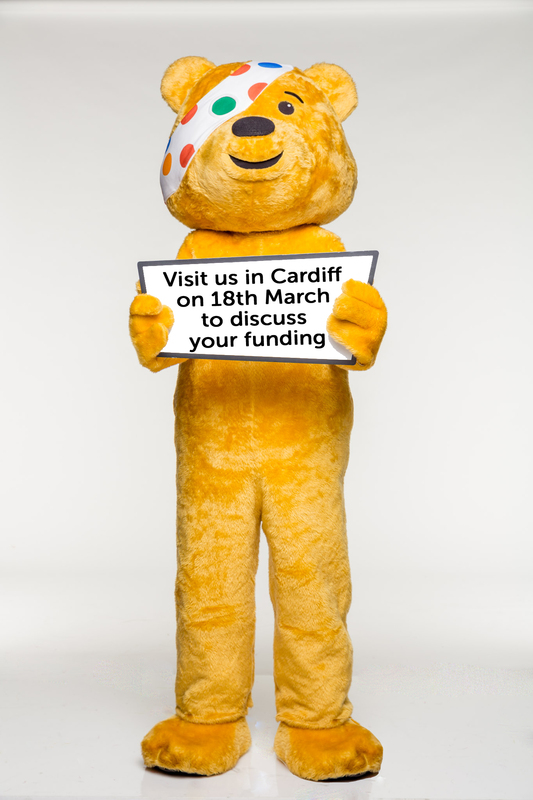 Projects across Cardiff are being invited to attend the first ever funding surgery in the city, organised by BBC Children in Need and in collaboration with the Cardiff Third Sector Council (C3SC). The funding surgery will give projects across the city the opportunity to access the popular funding programme and will be held at the Cardiff Third Sector Council on Friday 18th March. BBC Children in Need supports projects that work with disadvantaged children and young people aged 18 years and under living in the UK. Disadvantaged children and young people include those affected by: illness, distress, abuse, or neglect; any kind of disability; behavioural or psychological difficulties; and those living in poverty or situations of deprivation. Projects who are interested in funding are being asked to apply for a 30 minute appointment with James Bird, National Officer for BBC Children in Need in Wales. There will be 10 appointments throughout the day and projects are asked to select their preferred time. The Charity funds two types of grants; both of which are open to applicants. A Small Grants Programme includes grants up to and including £10,000, which supports projects for one year, while the Main Grants Programme is for grants over £10,000 per year to support projects for up to three years. All projects funded by the charity must demonstrate a positive impact on the lives of disadvantaged young people, under the age of 18. Projects who are interested in applying need to be available anytime between 10:00am and 5:00pm on 18th March and need to forward an outline of their proposal (no more than one side of A4), to bookings@cesc.org.uk. Applications must be received by Friday 11th March and successful applicants will be advised of their appointment time by Tuesday 15th March. The application should focus on the children your project will work with and the differences that your project will make for them. You should be able to clearly demonstrate the link between the disadvantage and how your project will change the lives of the children involved for the better. If you are unable to make the surgery, full details on how to apply for BBC Children in Need grants can be found at the website; www.bbc.co.uk/pudsey or call the Wales team at any time to discuss a project idea on 029 2032 2383.